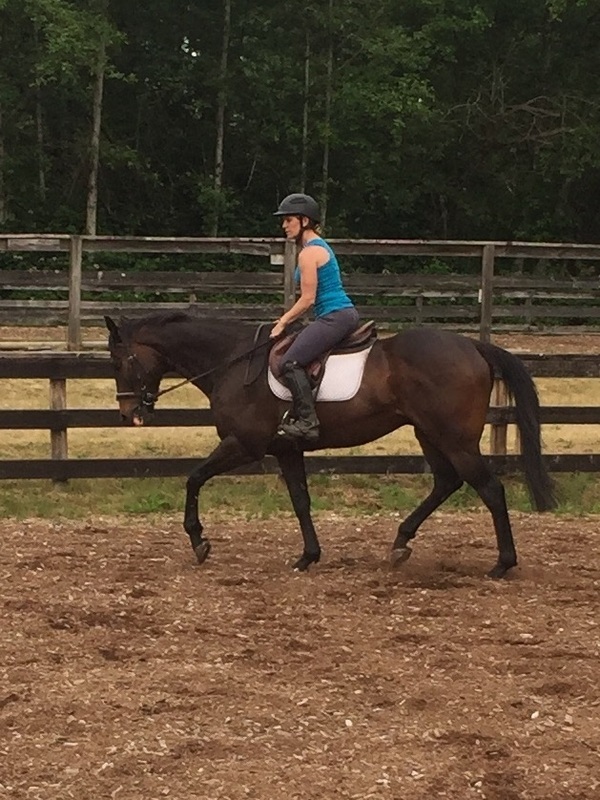 I can't say enough good things about this horse! He's been Such a good, honest guy about anything new that's been thrown at him. Rum is already great on roads and trails and is doing basic flatwork and trotting poles in the arena. 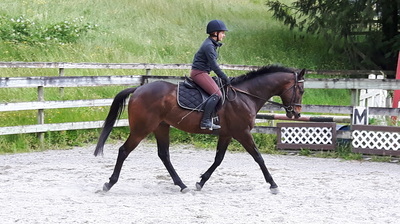 He has a cute trot and a fantastic rocking-horse canter. He's still working on bending and softening but tries his hardest every day. 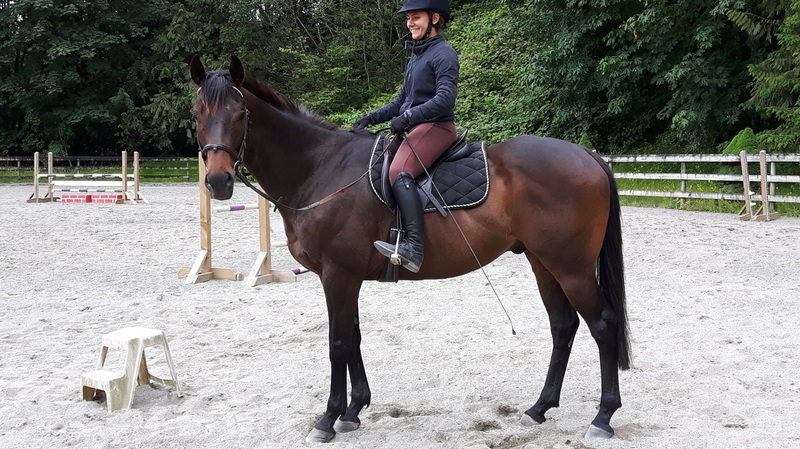 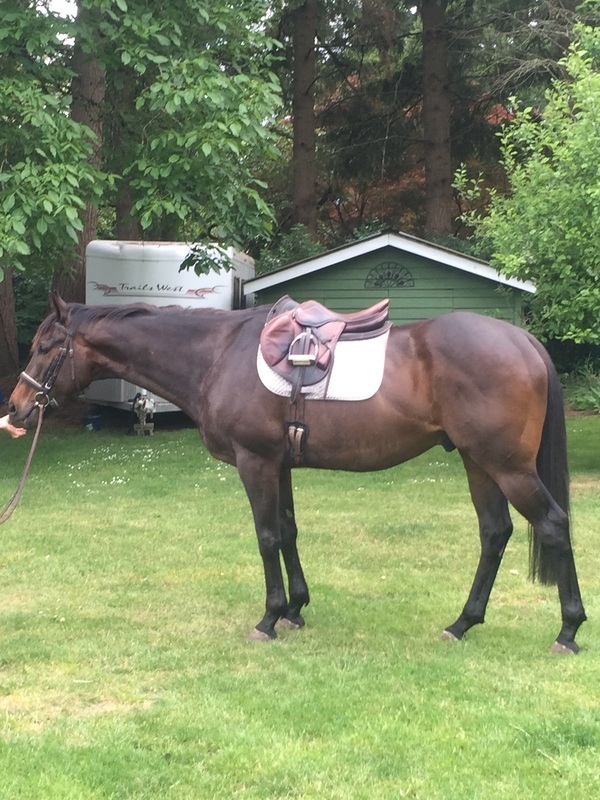 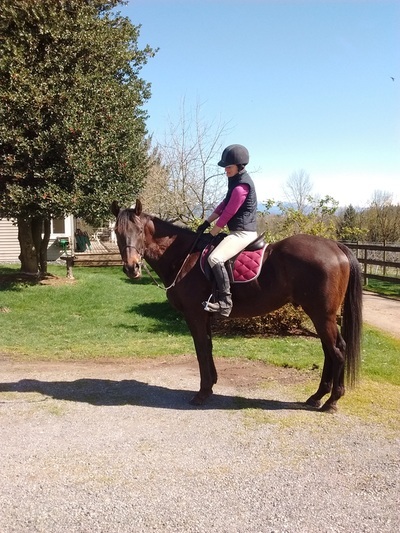 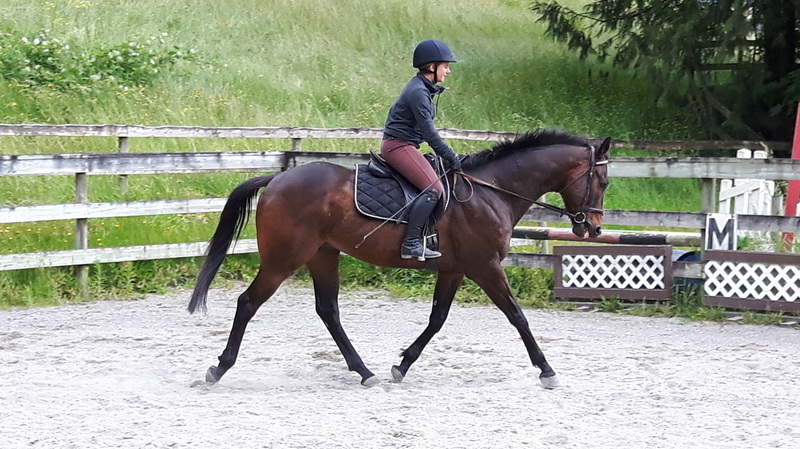 Rum would be suitable for an intermediate rider looking for a safe but green horse. 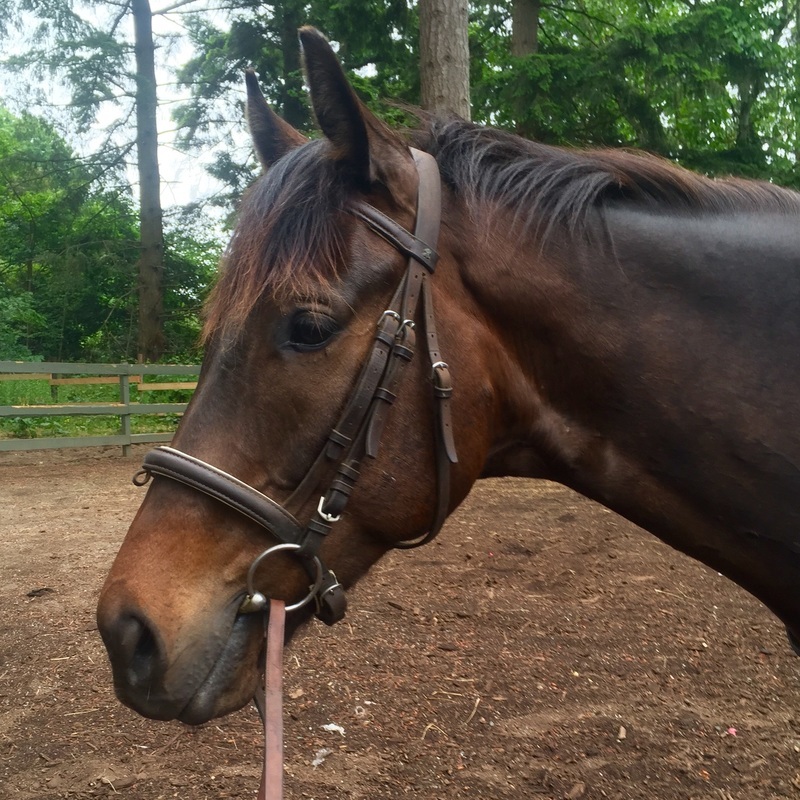 On the ground he's a sweetheart and always comes to the gate to meet you. 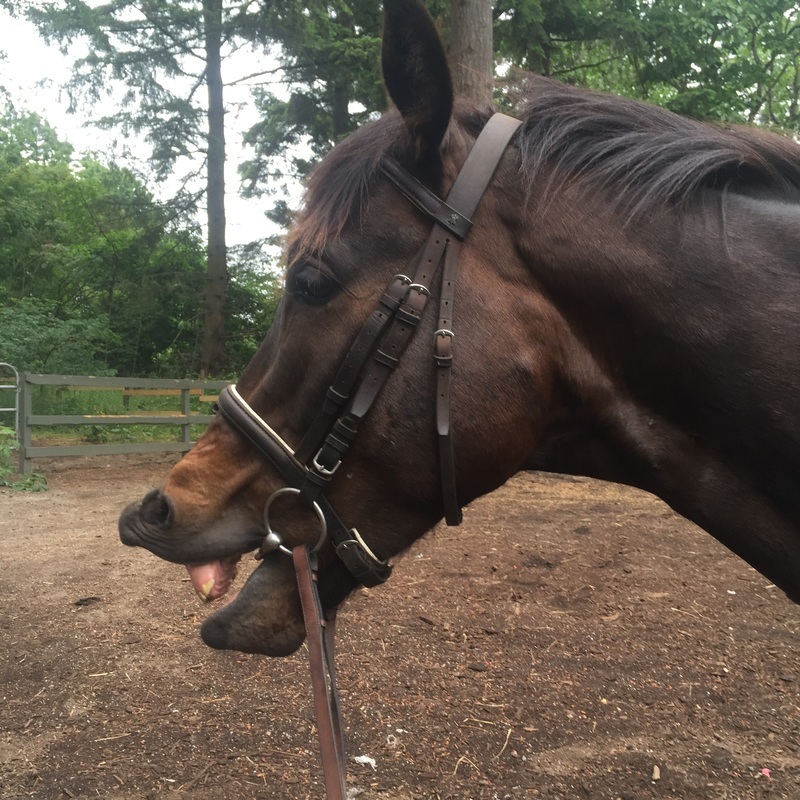 He stands well to be groomed and for the farrier . 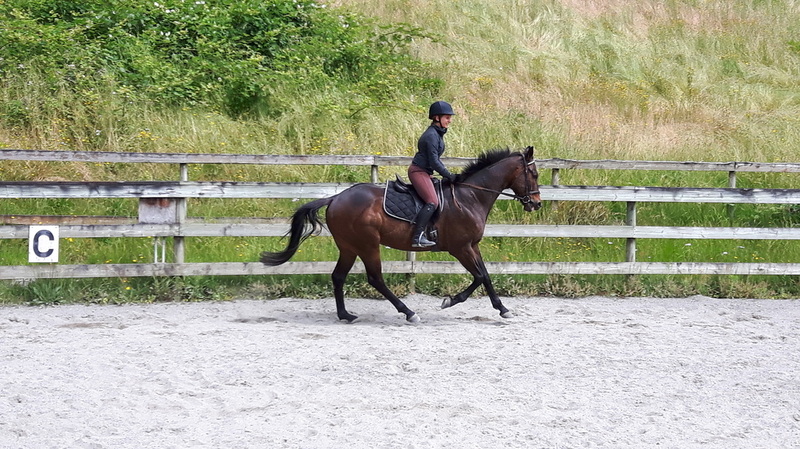 He is such fun to work with, the type of horse that is easily pushed. 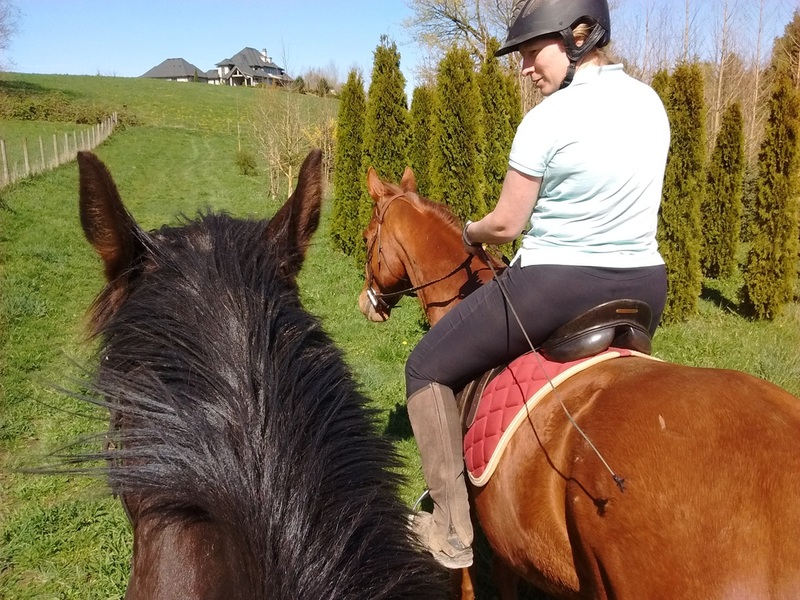 For this reason we are taking his training slowly and giving him time to absorb and learn about his new life. Rum is a great sport, tries everything we ask and loves his rides out around the farm with his buddies.